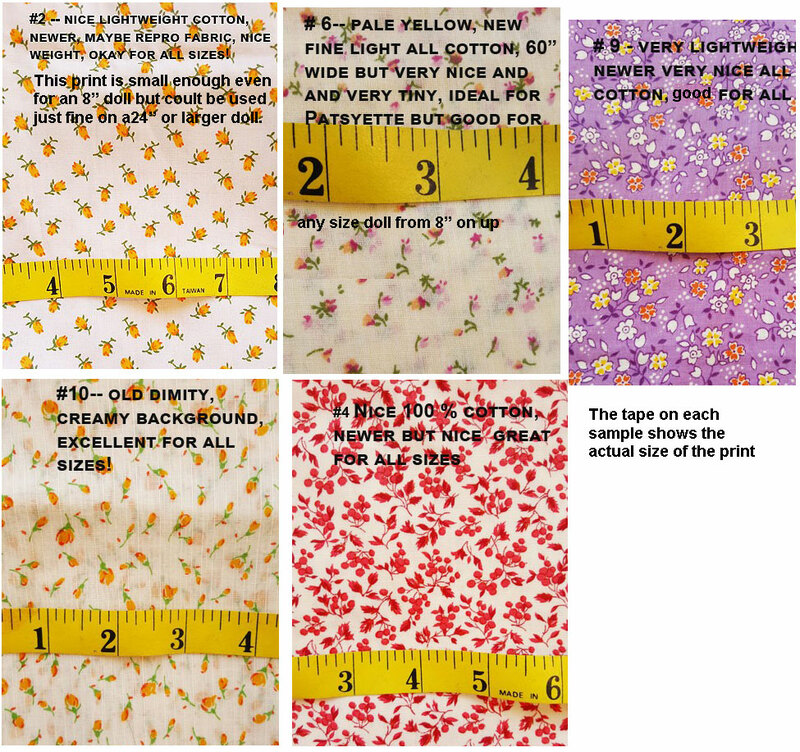 Here is another picture of more fabrics suitable in scale for doll clothes. In case you missed the last post, if it says something is suitable for PJ it means the 11″ Patsy Junior of the Effanbee Patsy family. 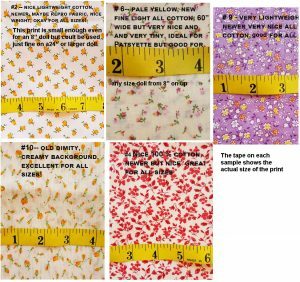 They are only examples, it is the height of the doll you are sewing for that matters when choosing the right print. Click on the picture to enlarge and see the scale of the print better. feel free to leave questions or comments below.